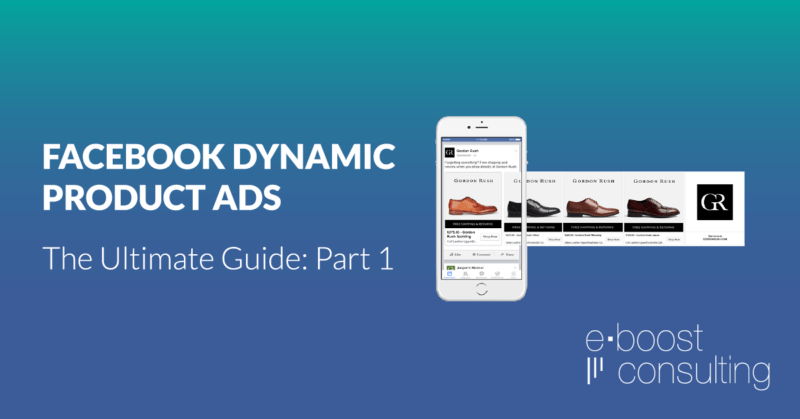 Facebook Dynamic Ads – if you’re not running them, you’re leaving money on the table! 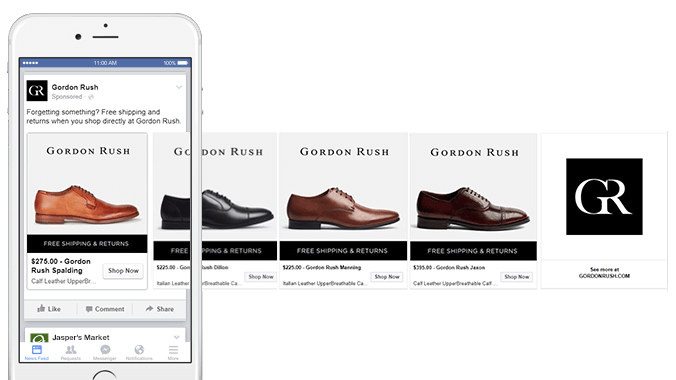 Facebook Dynamic Ads represents one of the most powerful new opportunities for eCommerce sites to drive revenue through online advertising. 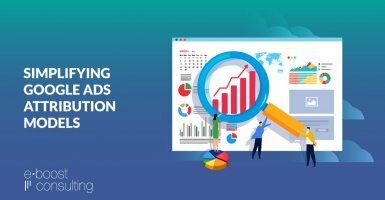 With competition in online advertising growing exponentially, it is becoming increasingly important to be relevant and timely with your ads in order to get noticed and be profitable. This is where Dynamic Ads shine. On average 95% or more of your website visitors will leave without making a purchase. While there are a variety of reasons for this drop-off, many of these people simply get distracted or are too busy at the time to complete their purchase. They may be on a mobile device and intend to purchase later on a desktop, but then forget. 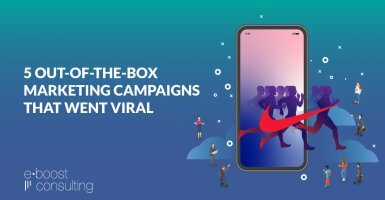 What if you could virtually tap them on the shoulder and show them the product they were meaning to buy (while they are on the device they want to buy with)? And perhaps offer them an extra discount to seal the deal? 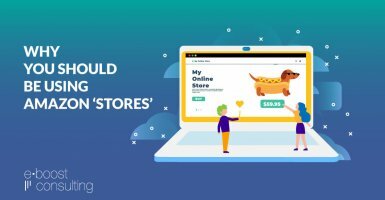 Or what about serving ads to people who did make a purchase with cross-sell and up-sell opportunities using similar products from your store? So why isn’t everybody running these ads? Well the big eCommerce sites are – if you’ve done any shopping on Amazon, Nordstrom, Best Buy, etc, you’ve likely seen the ads featuring the exact products you just looked at. Oftentimes they’re accompanied by a special offer like free shipping or a 10% off coupon code. 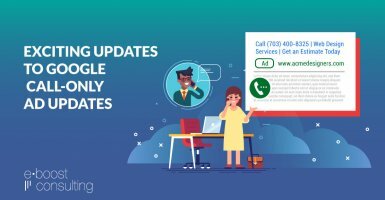 These companies were the early adopters of Dynamic Ads in 2015 and despite their success, many smaller eCommerce sites haven’t started running these ads because the setup process can be quite daunting if you’ve never done it before. 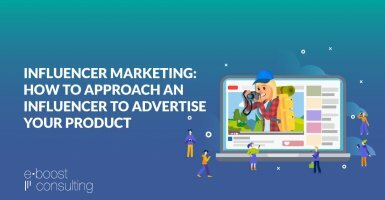 In short, the average eCommerce store owner or in-house marketer simply doesn’t have the time to learn and implement everything to run these ads. 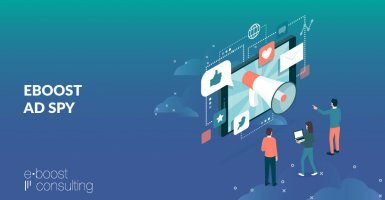 This 4 part article series will dive into those specifics and leave you with a full overview of how to set up and optimize dynamic ads for your ecommerce sites. 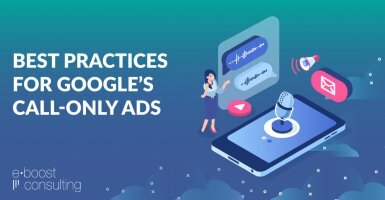 Whether you’re entirely new to running these ads, or you’re just looking for optimization tips, you should learn something along the way. Hi there – thanks for reaching out. Looks like you are on Shopify, did you create your product feed from scratch or use one of the Shopify apps? We usually use Flexify to create the feed for Shopify sites. Hi Marcus – are you on a Shopify site or what is the ecommerce platform?